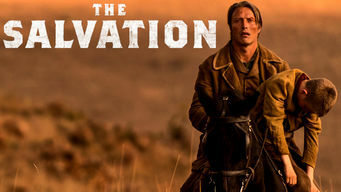 How to watch The Salvation (2014) on Netflix Argentina! Yes, The Salvation is now available on Argentine Netflix. It arrived for online streaming on October 7, 2017. We'll keep checking Netflix Argentina for The Salvation, and this page will be updated with any changes. In the Old West, a Danish homesteader avenges the murder of his wife and son, only to unleash a gang leader's brutal fury. A deadly cycle of violence and vengeance plays itself out in the Old West, with an innocent settler at the center.